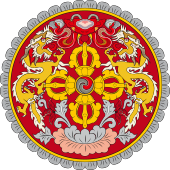 ^ 1.0 1.1 Constitution of the Kingdom of Bhutan (English) (PDF). Government of Bhutan. 2008-07-18 [2010-10-13]. （原始内容 (PDF)存档于2011-07-06）. ^ Office of the Attorney General Act of Bhutan 2006 (PDF). Government of Bhutan. 2006-06-30 [2011-01-23]. （原始内容 (PDF)存档于2012-04-24）. ^ .archive.org/web/20110706162642/http://www.nab.gov.bt/downloadsact/Dzo74.pdf Local Government Act of Bhutan 2009 请检查|url=值 (帮助) (PDF). Government of Bhutan. 2009-09-11 [2011-01-20]. （原始内容 (PDF)存档于2011-07-06）.